Properly cared for a knife will last many many years. 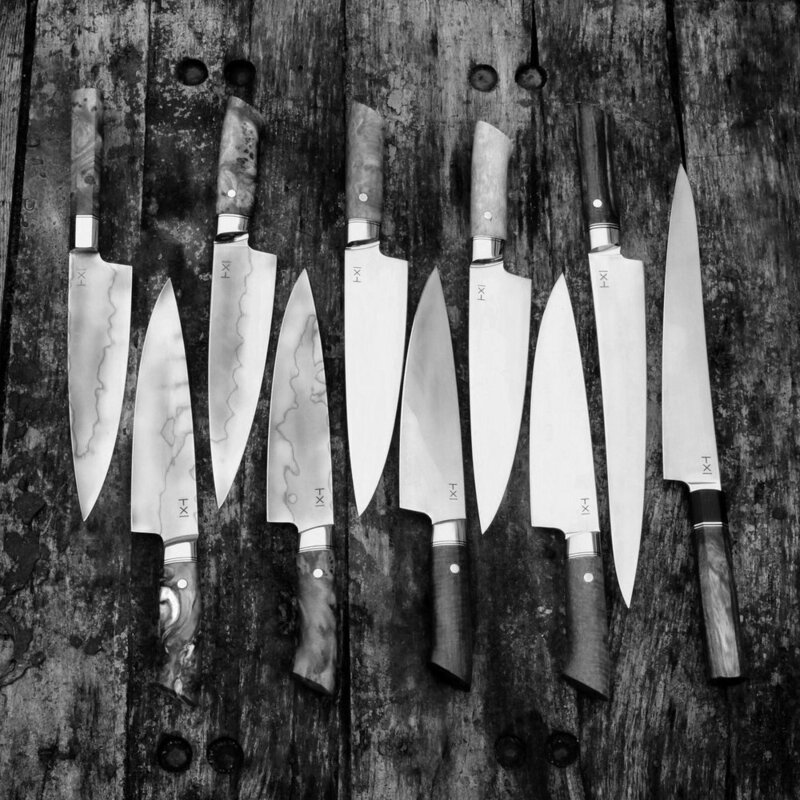 Specialized knife steels and natural wood are more delicate than the materials normally used for factory made kitchen knives. Therefore you need to be a bit more careful how you maintain a handmade knife. The amount of care depends on the materials, carbon steel and natural wood requires the most attention, while knives with stainless steel blades and stabilized handles only require occasional sharpening. Always rinse and dry the knife with a towel after each use. Especially after cutting things like citrus and onion. I usually do this every time I put down the knife. All knives requires sharpening from time to time. You can do this in a number of ways but the easiest is to use a ceramic honing rod from time to time to maintain the edge. If the edge is damaged or very dull, you will need sharpening stones or the like to refresh it. Below are some pictures of the patina that will show on the carbon blade after use. Getting a nice blue hue is considered very cool by the carbon buffs. Handles made from natural wood requires some sort of oil, if they start looking dull. You can use beeswax, tung oil, danish oil or even cooking oils. Stabilized handles are impregnated with an epoxy resin that seals the wood and makes it very durable. You do not need to oil these handles.